If have ever tried to enjoy the Las Vegas nightlife, you know the lines can be crazy!! For some people, they spend their whole night standing in line – and not even getting into the club of their choice. Unfortunate, but not uncommon. The following is a quick way of getting around the hours of endless waiting and getting up to the red rope. If you are going to a club with just the ladies .. your chances of getting into the club without waiting in endless lines just went up! The clubs rely on lots of girls going to their clubs, so groups of girls are a must for a successful club night. Think about it – guys are more likely to wait and pay to get into a club if they see groups of hot girls going in. If you are last minute – as most girls are – you will probably not even think about what club you are going to visit .. until the guest lists are closed. Get ready as quickly as possible. 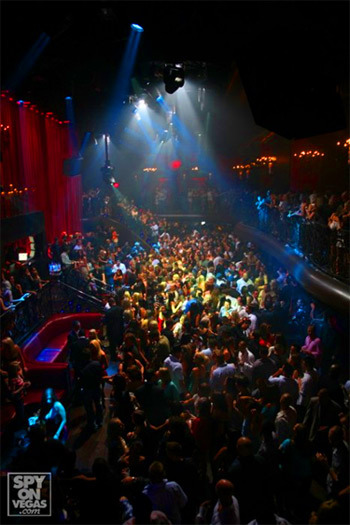 (Although Vegas clubs don’t close until 4am or later, don’t walk up to a club at 12:30 expecting to waltz right in.) Go to the club of your choice – find the person in charge of bottle / table service. If they are unavailable or swamped with table reservations – try to get the attention of the person with the guest list or the guy behind the rope. Grab their attention – be nice. Remember- these guys see girls all day long – they will NOT respond to snobby, bitchy (excuse my language) girls. Catch their attention and call them over. Tell them that it’s “me plus (number in your group) girls — no guys… we were told that you’d be able to take care of us” … Most of the time they will let you in after the next large group… HAVE FUN!!! Most clubs have a 2:1 ratio rule: 2 girls to every guy that enters the club. So if you are in a group of guy and gals, make sure you make the girls visible to the promoters. It always helps to slip a little money to the bouncer- but not necessary if you have a lot of girls – few guys .. or a lot of hot girls and nice guys. Guys: Don’t act like you are the*ish – Again … promoters in Vegas don’t have time to deal with arrogant – i’m the *ish type guys. Find a bouncer – preferably someone that is already behind the rope. Tell him that you have girls with you – and most likely – you will have to slip him some money. Even though this option may be a bit more costly … you won’t have to wait as long – as you will be able to enjoy the club, not just the club entrance. No matter what kind of group you are in – guys only, girls only, mix… remember one thing. This is Vegas. The bouncers and promoters at these places have seen / heard every story. Don’t pull the ”Don’t you know who I am” type of a line. It doesn’t work. Try the above- and be patient. They are working as hard as they can to get you in .. remember- the more people they get into the club – the more money THEY make.